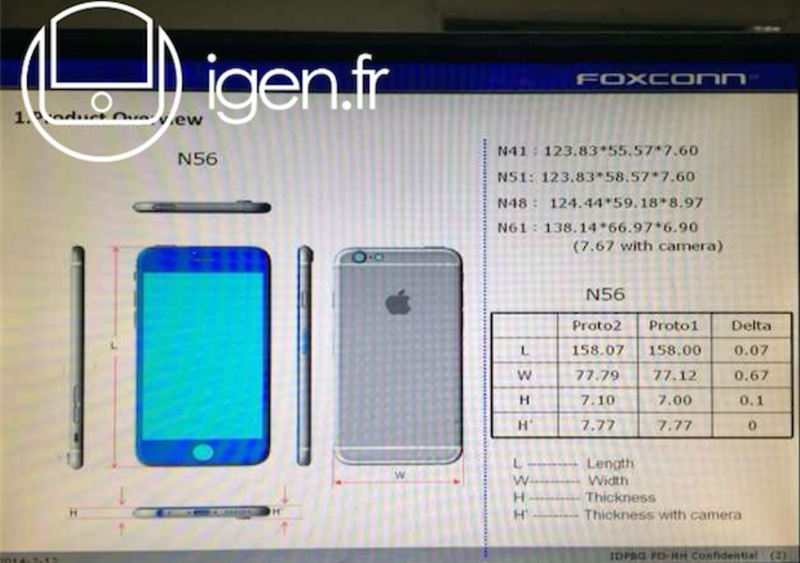 Some information about both the 4.7-inch and 5.5-inch iPhone 6 has leaked out from Foxconn in China. The information states that the final version of the 5.5-inch iPhone 6 will measure 158 mm long, 78 mm wide, 7.1 mm thick and weighing only184.6 grams. The 4.7-inch iPhone 6 is said to measure at 138 mm long, 66 mm wide, and only 6.9 mm thick! Check this video out for more info!